Award-winning author Phil Earle will visit Orchard Brae School with pupils, Emma McDermott, 14 and Michael Morris, 13. 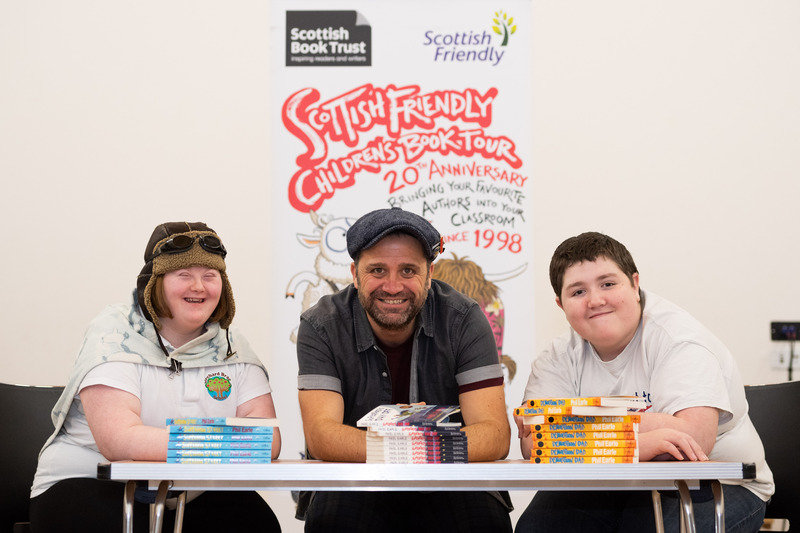 The writer visited schools across the north-east, including Milnes High School in Fochabers, Ellon Academy in Aberdeenshire and Orchard Brae School in Aberdeen. Mr Earle travelled round the schools this week as part of his Scottish Friendly Children’s Book Tour, which ends today. The tour was aimed towards pupils who have additional support needs and face additional challenges when reading. Mr Earle said: “I feel very lucky to be working again on the Scottish Friendly Children’s Book Tour. Throughout the week-long tour, the author discussed his newest novel Mind the Gap, dressed up as his own characters and answered questions on some of his other titles such as Being Billy and Bubblewrap Boy. 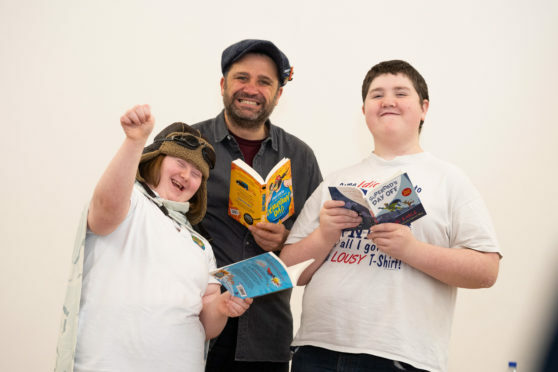 Pictured is author Phil Earle with pupils, Emma McDermott, 14 and Michael Morris, 13.